Please see note from TFL post on Facebook. “The Info evening with the Annan fisheries board has been rescheduled for Monday the 18th February 2013. This is the only night that the Annan guys can make for the forseable future due to the salmon and trout season reopening shortly. Venue: Calderwood Inn East Kilbride. I hope you can all make it. Again tea and coffee will be provided, there is a public bar operating at normal bar prices. Again if you plan on coming let me know, its not imperative, but gives me an idea of numbers. To aid the Annan fisheries board funds, a raffle will take place, the top prize is a season permit for the Ananndale estates water, valued at about £300. 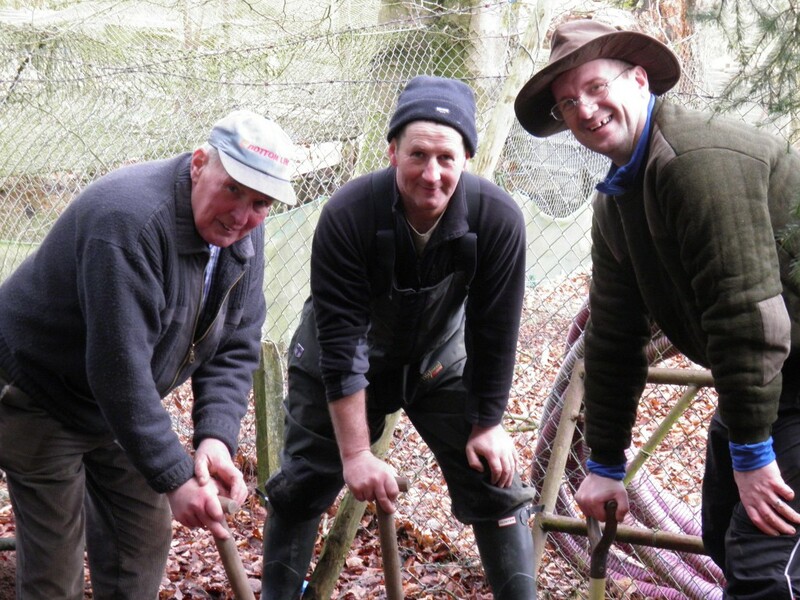 Jim , Wullie & Graeme hard at work at our rearing ponds.